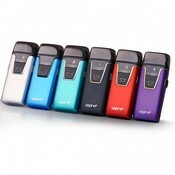 The Aspire Nautilus kit is a new pod device with built-in 1000mAh battery and 4.5ml/2ml refillable cartridge. Featuring the famous Nautilus 1.8ohm BVC coil, the Aspire Nautilus AIO Kit suits vaping with nic salts and normal e-liquid. The Aspire Nautilus Kit is the brand new all-in-one starter kit from Aspire. It comes with built-in 1000mAh battery and 4.5ml/2ml refillable cartridge. 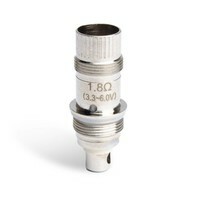 The Nautilus Cartridge adopts the famous Nautilus BVC coil for great flavor, including one regular 1.8ohm BVC coil for normal e-luquid and one Nautilus BVC coil for nic salts. Together with the adjustable airflow and easy bottom refilling system, the Aspire Nautilus AIO kit will bring you simple yet amazing vaping experience.